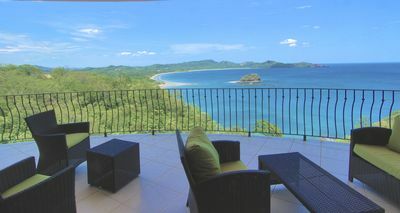 This sub penthouse luxury condo on the 5th floor is situated 2 blocks off the world famous surfing beach of Tamarindo. 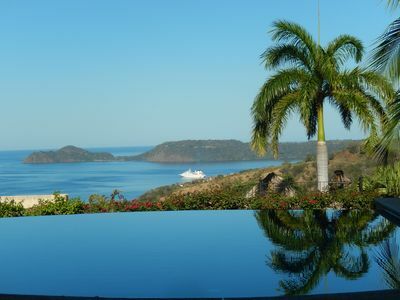 This condo offers exceptional 180 degree ocean views from Playa Grande to Playa Langosta. The sunsets are unparalleled. There are 2 king and 1 queen beds, sleeping 6 people very comfortably. 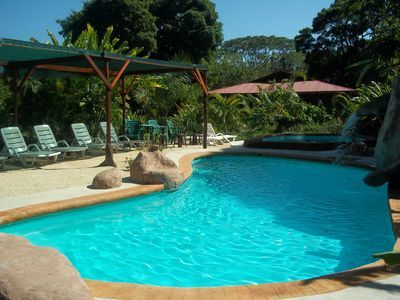 Guests have access to the pool, BBQ/social area and private onsite gym. The condo kitchen is well equipped and we try to have all those little extras there for you--salt & pepper, spices, coffee filters, garbage bags, dish & laundry soap, shampoo, conditioner. 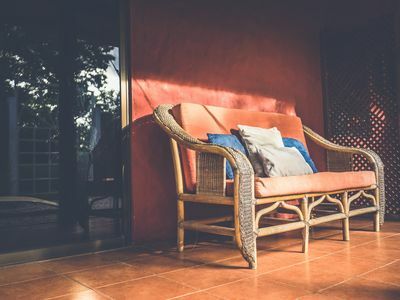 The unit offers the best of both worlds, being minutes from the main street of tamarindo and yet situated in a space that offers tranquility at the same time. Enjoy a beverage or dinner on the spacious terrace as you listen to the sounds of ocean and watch the surfers challenge the waves in front of the world famous Witches rock. All of life's stresses will fade away as you enjoy sights & sounds while feeling the ocean breeze from the terrace. You will be amazed at the peaceful feelings that fill your soul. 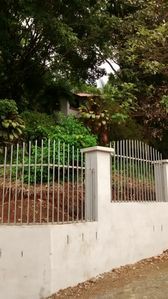 The condo is conveniently located just a few minutes walk from the beach and bustling main street of tamarindo. A multitude of activities are available including fishing, water sports, eco tourism, fine dining, shopping and the tamarindo night life. 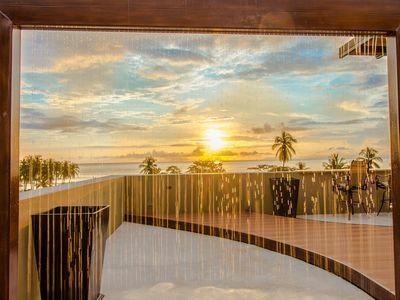 When your day is done you can retreat back to the tranquility of your condo and relax in peace and comfort while you embrace the evening sunset. 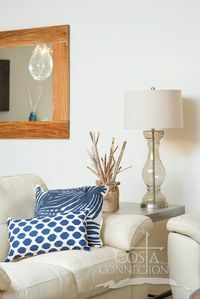 The condo is finished with fine furnishings and high end amenities. The unit was completed to satisfy all and is tastefully decorated with attention to detail. Beautiful artwork adorns every room of this grand and luxurious condo. In the large master suite, you will find a king sized bed with a pillowtop cover and egyptian cotton sheets. The bed is accented with a multitude of pillows and is sure to make you rest easy during your stay. 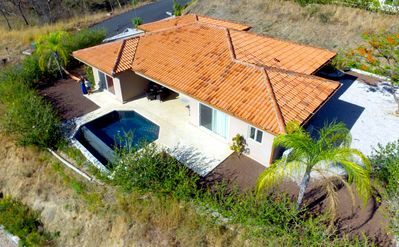 In the morning you can open the blinds and see that beautiful ocean view from the bed; or in the evening enjoy a glass of wine in the large soaker tub while gazing at the sunset. The ensuite also has a beautiful, spacious limestone shower, and double sink vanity. With its own private balcony, the master suite offers intimate enjoyment of the tropical environment, where families of monkeys can often be seen moving through the trees. The master suite boasts a 51 inch television & ample storage. The second bedroom has a queen size pillow top bed with fine linens and a 42 inch smart television. It has an ensuite bathroom that includes a large shower and plenty of storage. The third bedroom features a king sized pillow top bed and fine bedding eqivalent to the other bedrooms. 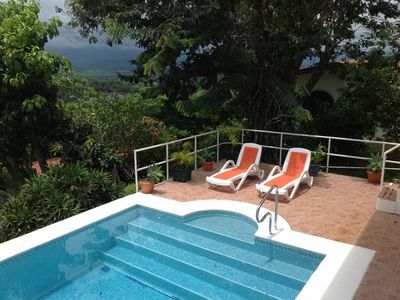 These two bedrooms share a balcony that overlook the pool area & Playa Langosta. This makes sleeping 6 a very comfortable opportunity. The unit faces west overlooking the ocean to maximize the sunset views. 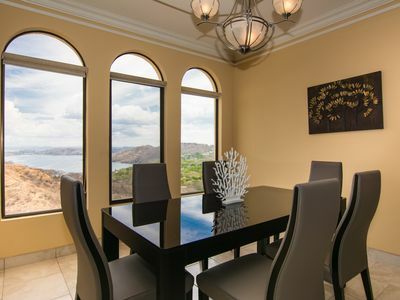 The floor to ceiling windows in all rooms provide breathtaking views. The unit has a sleek gourmet kitchen with european cabinetry, granite countertops and stainless appliances. The unit is complete with its own washer and dryer. The living room has a 51 inch flatscreen television and blu-ray dvd player. There is wifi available in the unit for your pleasure or business. 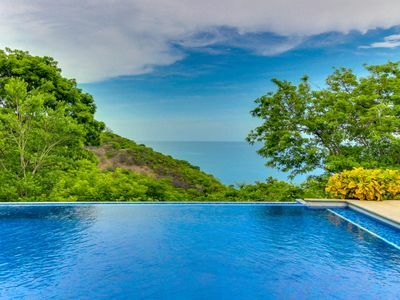 LaPerla is tamarindo's newest condo development and offers a pool within the gated complex, (complete with ocean views), a BBQ area with table dining option, and onsite gym for all guests. Security is on sight 24 hours per day and there is underground parking. The condo has an elevator so getting to the 5th floor with your belongings only takes seconds. 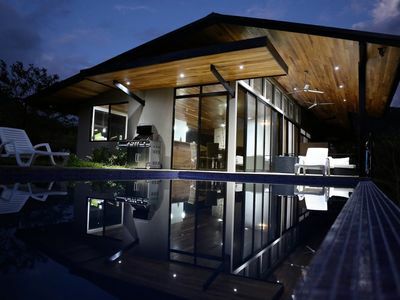 This contemporary, modern building in the exclusive tamarindo hills location truly offers the best in Tamarindo. 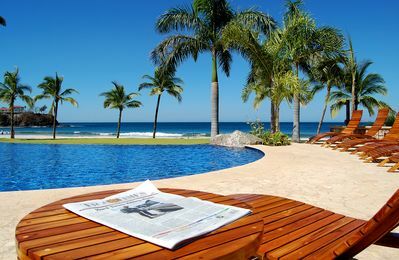 Activities in the area: Tamarindo is a community located on the world renowned gold coast of costa rica. It offers spectacular natural beauty along with a multitude of activities. Water activities abound from swimming, surfing, long boarding, sailing, or fishing to name a few. 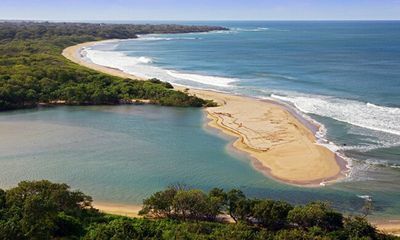 Tour the estuary and see first hand the monkeys, crocodiles and many other species and exotic birds that make this home, or stroll up the beach to Playa Grande where the giant leatherback turtles nest. 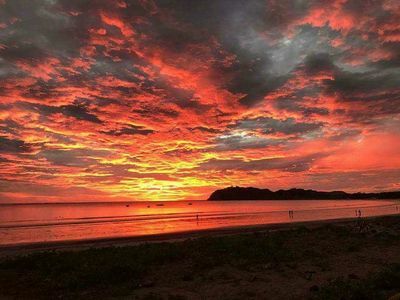 There are many other adventures including rock climbing, whitewater rafting, diving, hiking the jungle, sea keyaking, golfing, zip-lining or deep sea fishing available in the tamarindo area. 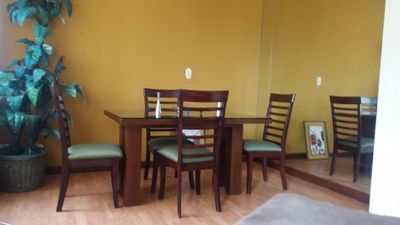 There are a multitude of restaurants and shops in tamarindo and a casino all easily within walking distance. 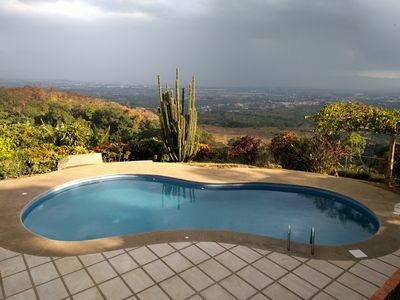 Tamarindo is easily accessible from the Daniel Oduber international airport in Liberia. The drive time is 60 minutes or a shuttle for $80.00 could easily transport your entire group. We would be happy to help with these arrangements. 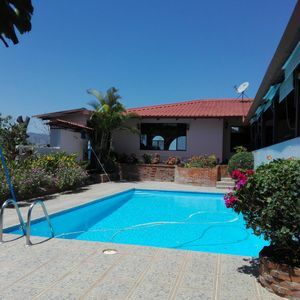 We will be happy to assist you with your stay and have plenty of contacts in the area to help you with anything you need during your spectacular stay in Tamarindo at LaPerla. Pura vida!!!!! Costa Rican Paradise! 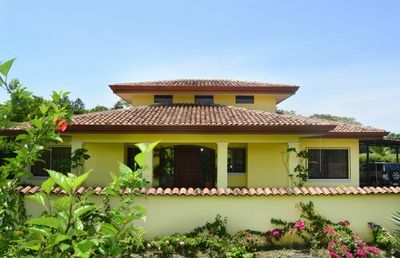 One or both bedrooms in a villa with a vast ocean view. 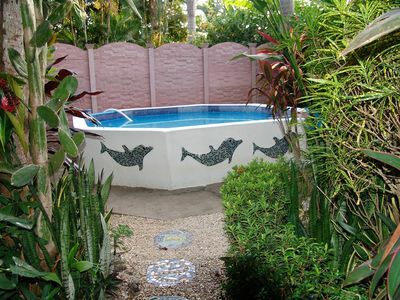 Charming & Private Bungalow 1 Bedroom with Terrace & Kitchenette. Pool access.